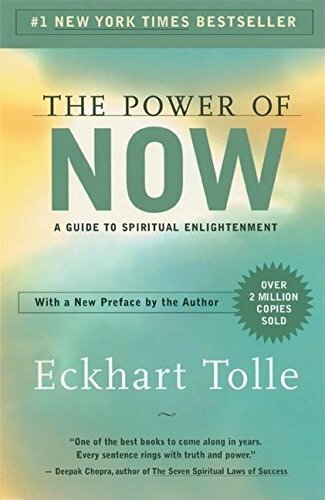 My girlfriend gave me The Power of Now: a Guide to Spiritual Enlightenment by Eckhart Tolle a couple years ago. At the time, I’d just read my first book on Stoicism and was intrigued by the idea of a philosophy that would help me find tranquility in life. She’d read a review of Tolle’s book and thought it might be something I’d find interesting. When I first picked up The Power of Now, I struggled with the author’s introduction and put it down. It eventually made its way onto my bookshelf where it sat for the past two years until I rediscovered it. Then on a beautiful sunny day a few weeks ago, I needed something to read and I didn’t feel like going to the library. I went to my bookcase, saw The Power of Now and grabbed it. I again struggled through the introduction, but pushed forward into the first chapter. Then it happened. Suddenly things started making sense. Not all of it. It’s still a very deep and challenging book, especially for a guy like me who isn’t spiritually inclined. What I found though was a surprising sense of joy that came from several of the principals Tolle wrote about. 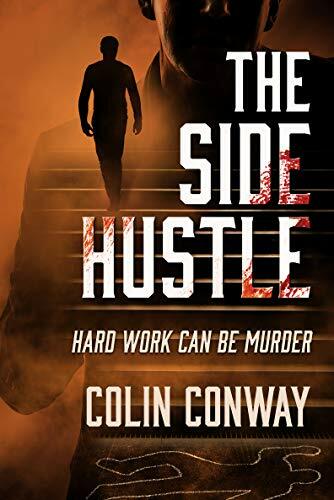 While talking with a friend at work about the new book I was reading (I’ve become very discreet in who I share info with since the lessons learned the hard way with The 4 Hour Workweek), I mentioned this book. He said he’d read it along with his wife. We then discussed the book at length. It surprised me that someone I knew had already read it. I was amazed to say the least. A very successful entrepreneur was recommending the book just after my friend had said he and his wife had read it. I shouldn’t let the opinions of others change how I think, but knowing someone had already read this book and loved it, felt like some encouragement for what I was feeling. While I’m still processing some of the concepts, I wanted to share with you some of my favorite takeaways. Even though it is a book on spiritual enlightenment, there are some fantastic practical applications. I’m not at a level of spiritual enlightenment in any fashion, however, I believe the ideas that I learned are going to help me immensely. This was an early concept in the book and a bit difficult for me to grasp at its first introduction. You see, I’ve always put my identity within my thoughts. However, Tolle explains our mind is a tool for solving puzzles and getting things accomplished. It’s not who we are. Who we really are is found in our consciousness (or our soul, if you will). It’s outside or above our minds. What we want to do is learn how to take back control of our minds because we have let them run wild. We have become addicted to thinking. How’s that possible? If we don’t have a problem to solve, our brains will create something to work on. For example, have you ever found yourself creating a scenario for a potential problem you’re facing. The problem may or may not happen, but your brain goes running off with it. You may even create imaginary conversations with the persons involved in an effort to resolve the scenario. All for a problem that may not even exist! Or maybe your mind replays an incident that’s already happened, because it wants to come up with new ways you could have handled the situation. Ways that might make you happier with the outcome. Talk about wasted energy! I never knew how much I did this until reading the book, then I realized, “I’m doing this all the time.” If I had a problem I had to address at work, I’d image ten different ways the conversation could go. Each one of them creating various levels of angst within me. My mind wasn’t actually developing a solution to the problem, it was just daydreaming. When I was on the police department they trained us to develop schemas as we responded to a call. These schemas are responses to “what if” scenarios. For example - What if I ring the door bell and a gun is immediately fired? I will respond by moving to a point of cover away from the house. This is completely different than daydreaming as my mind would be actively engaged in the planning process. Left to its own devices, our brains will fill any void with gobbledygook to keep itself entertained. The junk it creates can lead to drama in our own lives because we raise our stress levels for reasons we don’t fully comprehend. Have you ever been upset over something and you can’t explain why? Take a step back and examine what your mind has been working on. It may have created your own drama. Our consciousness needs to be alert to what is going on in our own minds. Once we do that, the brain will start to behave differently. It will focus more. It still wants to run free, but if you’re watching for it, you can catch it early and redirect its energy. That might sound a bit odd, but it will change your way of thinking if you try it for a bit. Clock time is using dates and time to schedule meetings, catch a plane, etc. It’s also used to predict the future, using physical and mathematical laws. Think weather patterns or population growth models. This is an extremely helpful use of time. However, we can make clock time our enemy when we internalize it. I loved this concept because I’ve operated on psychological time occasionally. I can remember conversations from my twenties that I still regret. Two decades ago! That is psychological time and it’s been an unnecessary weight, even if I haven’t realized it. There’s no going back and there’s nothing I can ever do to change those moments. We must all avoid internalizing regrets and self-criticism into psychological time. I know many people who are still living in the past because of this. None of them are happy due to it. Do you know a joyful person who is carrying around guilt and regret? Only now exists. Not yesterday nor tomorrow. Most of us understand that concept on a basic level. Live for the moment. You only live once. Seize the day. You can probably come up with a half a dozen platitudes in just a couple minutes. Even though we all say we understand this, we don’t behave like it. Some will spend their entire lives either running from their pasts or reliving its glory. Others will spend almost every moment looking toward the future, planning and hoping. I’ve always leaned toward the latter. My life has been spent setting one goal, racing to it, then setting another goal, sprinting to it, etc. Like a rat on treadmill, there’s no fulfillment. Just the endless pursuit of some piece of cheese. However, and here’s where I started to get freaked out, do you know that one second from now doesn’t exist? Or one second behind us doesn’t either? We are all here right now. At this very precise moment, this is where we exist. However, this is not where we are really living. Where does your mind spend most of its energy? Does it spend it in this very moment or is it thinking about an hour ago or worse two weeks ago? Or is it focused on two weeks from now or worse two years from now. When you eat dinner with your family, are you thinking about work? Or worse, do you have your cell phone out answering emails? Do you even taste the food you’re eating because your mind is elsewhere doing anything but enjoying the moment? Until I read Tolle’s book, I was surprised at how little I was really living in the moment I was actually in. I was always at least several minutes away, if not longer. There was always something to be planned or something to be replayed so I could learn not to do it again. Now, I’m trying to be here, in this moment. This was probably the biggest takeaway for me from the book. I read this, stopped and re-read it, went and grabbed a highlighter and then marked it again. I never mark in my books, but I figured it was that important. Jumping back to Tolle’s earlier comment on living only in the Now, we’d be hard pressed to carry around negativity if we did just that. However, our mind spends its time trying to travel into the future or back to the past through various forms: guilt, sadness, worry or anxiety. I’ve carried those negative emotions with me a lot. Have you? I’ve tried a lot over the past several weeks to remind myself to live only in this moment. To not worry about what may or may not happen or what has already happened. When I’ve done that, it’s amazing how much my stress level has decreased. I’ve started to reach a level of tranquility that I sought after reading several books on Stoicism. By the way, when you’re not traveling into the future or past through negative emotions, you can get more things accomplished. I’ve never felt more fulfilled and happy nor been more productive. It’s a strange phenomenon that when I’m focused on Now, I feel like I suddenly have more time (which is an illusion, of course). Tolle talks about this throughout his book so it’s hard for me to find a single quote to highlight my thoughts on this. However, here’s the gist of what he’s saying. Have you ever driven home from work and when you arrived you had the scary realization, How the hell did I get here? Your mind was so preoccupied with whatever problems you had during the day that you missed what you were actually doing: driving a two-ton vehicle at sixty miles per hour. Scary, right? Or you spent the entire drive daydreaming about a trip or a new potential love. Your focus wasn’t on the task at hand, it was miles away or perhaps years away. The opposite can happen as well. We arrive somewhere and are told we have a 30-minute wait for our objective. Perhaps its dinner or to renew our license tabs. Our mind goes into over drive. Thirty minutes! Think about all the other things I could be doing with this time. You will list off hundreds of things you should be doing besides waiting. This has helped me several times since I’ve read this book. I’ll give you a quick example. In our area, this is road construction season. Since roughly half our year is poor weather, the road crews go into over drive when good weather finally arrives. That means a lot of roads are torn up now and the traffic has slowed in many places to a snail’s pace. Previously, I’d be filled with angst. “I’m going to be late” or “I could be doing so much more with me time,” are thoughts that I would have had previously. Lately, though, I just breath and relax, taking it all in. Looking around, I’ve seen other anxious drivers, yelling and waving arms. I’m now thankful that isn’t me. You see, I wasn’t waiting in my car. I was enjoying my moment of just being. The first time it happened, it totally tripped me out when I got through the traffic snarl and found myself happier for the experience. For years, I hated the saying, “It is what it is.” I thought it was sort of a lazy person’s way of getting out of finding a solution for a problem. We’ve been in the middle of a negotiation and hit a sticking point and someone on our team would say, “It is what it is.” I’d lose it. I wouldn’t accept the silly saying and would fight against it. The only one getting upset by the whole thing was me. Tolle says we need to learn to see life as it really is. Not how we want to see it. Have you ever witnessed an event such as a car accident and thought, “This is horrible” or “This is terrible?” Realize you were the one applying the labels to the event. The event itself was neither horrible nor terrible, it just was. How we perceive the event is what colors our response. Some of the most present moments I’ve ever had in my life were while working as a police officer. There was often no time to label a moment. I was onscene at an officer involved shooting that involved a stand-off situation. There was never a moment that wasn’t spent in the Now. I never once thought “This is horrible.” The moment just was and all of us involved accepted it as it developed. It wasn’t until later when we started applying labels to it. Labeling a moment, especially when we are in it, colors it significantly which affects what we are trying to accomplish. What we should do is accept the present for what it is and act accordingly. The book touches on many subjects beyond these I’ve highlighted. There are relationship discussions, spiritual enlightenment and more. I highly recommend it. I would also encourage you to stick it out if you’re a little lost in the introduction like I was. 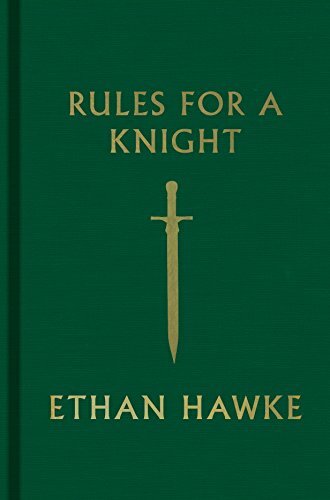 A word of advice... take your time reading this book. I found it better to read it in small bits and then ponder what I just read. it really was full of interesting ideas. It was well worth the journey and one I’ll be taking again soon. Are you having trouble staying in the Now? Grab The Power of Now and take back control of your mind, your time and your happiness.